Today is International Holocaust Day. A remembrance day of the liberation of Auschwitz where 1.1 million Jews perished. 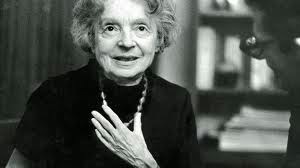 If your heart is attuned to the brevity and frailty of life and the human soul, then you will clearly hear Nelly Sachs' plea. It describes the trepidation and trauma of survivors in returning to normal life in a heart-wrenching manner. Hourglasses still fill with out dripping blood. The worms of fear still feed on us. Our constellation is buried in dust. Show us your sun…. but gradually. Lead us from star to star, step by step. Be gentle when you teach us to live again. Dissolve into dust before your eyes. For what binds our fabric together? Whose soul fled to Him out of that midnight? Into the arc of the moment. We look into your eye—but all that binds us together now is leave-taking. Binds us together with you. In “Chorus of the Rescued,” the pain described is their attempts to come to terms with the certainty of their deaths and the surprising reprieve given to the survivors. Sachs utilizes striking imagery such as; death had begun to “whittle his flutes” from their hollow bones and “hourglasses still fill with our dripping blood” In their weakened state, fear is an obstacle that they cannot overcome. A reason to hope has been so recently restored to them that they need special treatment to embrace it. “Our constellation is buried in the dust. We, the rescued, beg you: show us your sun, but gradually” . Their hope is tinged with timidity and uncertainty because they are barely clinging to composure and admit that it would only take a slight trigger for them to lose their equilibrium. If they face that degree of suffering again they will “dissolve into dust before your eyes” . Sachs makes sense of pain by noting that it is what binds people together. They are united with others through shared experience of loss suffered and united with the diverse population because they need new strength to rebuild their lives.